After a third thumping in three – this the most demoralising of the lot for the home side – Pakistan sealed the five-match ODI series against Zimbabwe at the first time of asking. Zimbabwe’s 67 was the second lowest total any side has slumped to against Pakistan in ODIs. It has been a familiar tale throughout this series, of Pakistan dominance in all departments, Zimbabwe failing again and again not just to compete, but to even keep the margin within a reasonable distance. This was no different. 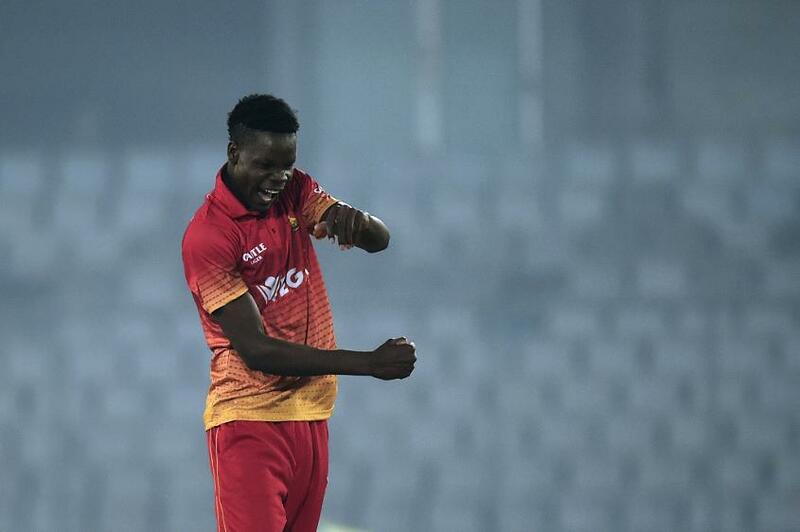 Once again, it wasn’t exactly down to lack of fight from Zimbabwe’s batsmen – though Chamu Chibhabha, who top-scored with 16, may wish he hadn’t played around his front pad and captain Hamilton Masakadza disgraced himself by skewing an on-the-up drive to mid off. They simply lacked the technique to cope with Pakistan’s bowling attack. Today it was Faheem Ashraf who did the bulk of the damage, taking advantage of the opportunity offered by Hassan Ali being rested to claim his maiden ODI five-for. It would be a disservice to his performance to suggest that Zimbabwe might be disappointed to have collapsed to him, rather than the more heralded names Pakistan can call upon; this was a superb spell of bowling in which Ashraf moved the ball both ways, extracted what variable bounce there was, and all at a decent pace which ensured slight misjudgements were punished. His continued emergence is just one of several positives Pakistan can take from this series. For Zimbabwe, 21-year-old Blessing Muzarabani continued to flicker as the lone ember of hope in an otherwise Vantablack landscape. The beanpole quick could be forgiven for feeling frustrated with his fellow bowlers for squandering his accurate, incisive work throughout the series, and with Zimbabwe’s batsmen – he faced more balls than all but one of the top eight having come out to bat at No.10 within 20 overs of the innings’ start. He seemed to channel all that frustration into the first delivery of the chase, uncoiling and unleashing a vicious bouncer which targeted Imam-ul-Haq’s helmet, the opener only able fend to the keeper. It was a sight to behold, and also as good as it got for Zimbabwe – Fakhar Zaman and Babar Azam proceeded to knock off the required runs inside 10 overs with minimal fuss. The nine-wicket win meant Pakistan claimed the series honours, leading 3-0 with two games to play. On the evidence so far, it is hard not to see them winning all five.